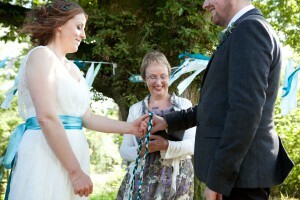 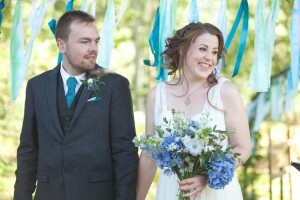 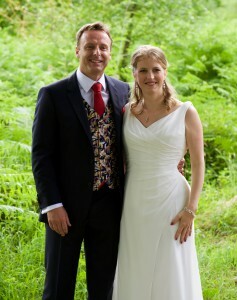 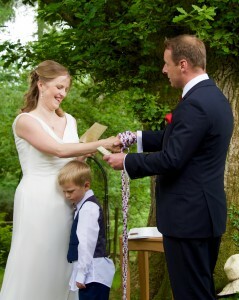 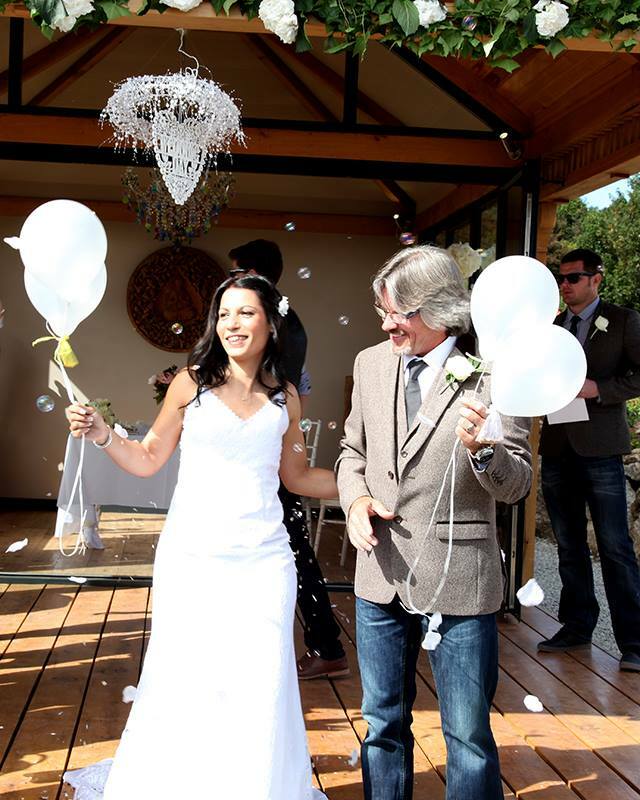 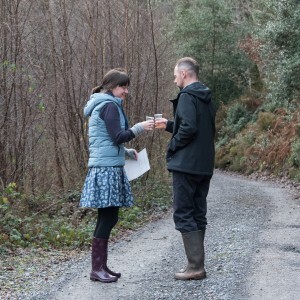 Selena and Mark celebrated their wedding by the Oak Tree at Middle Coombe Farm near Tiverton. After the legal ceremony in the barn, a fiddler led the happy couple followed by all their guests up to the Oak Tree for a special ceremony to bind their family together. 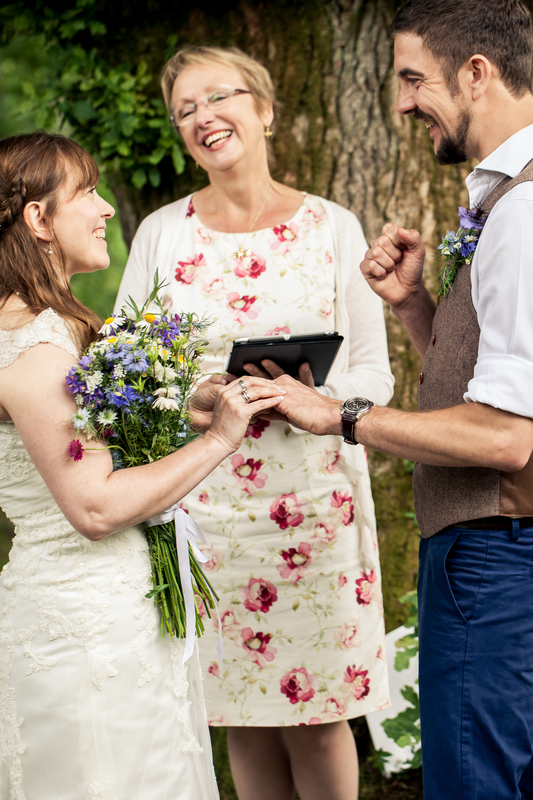 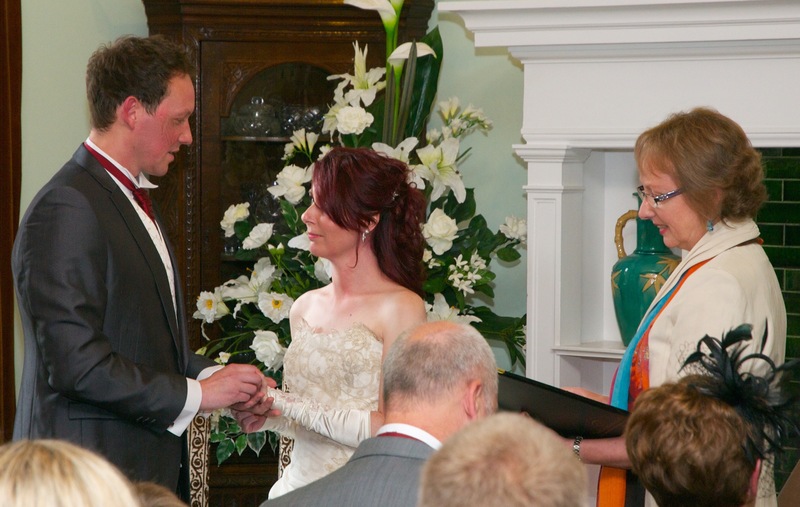 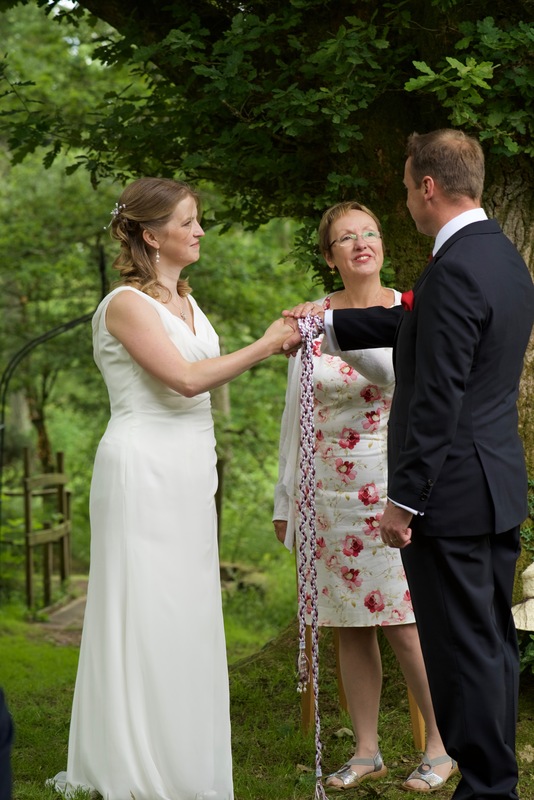 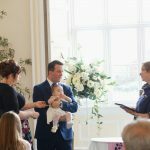 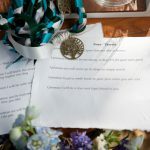 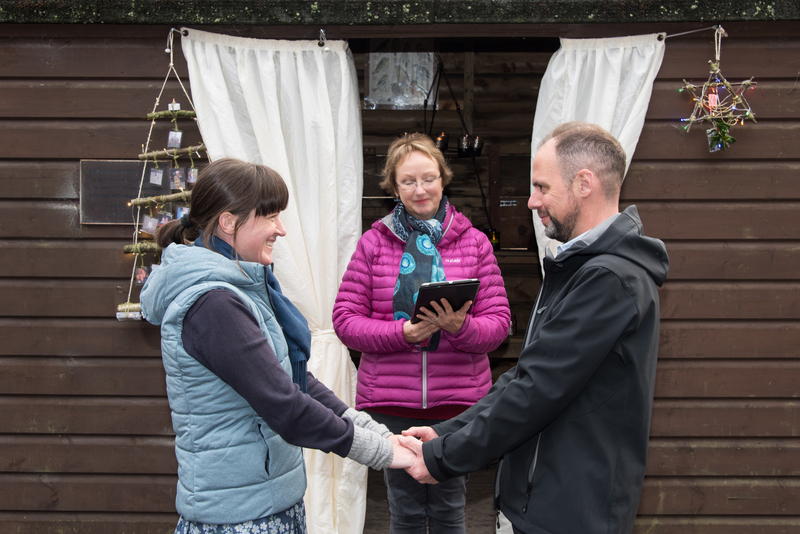 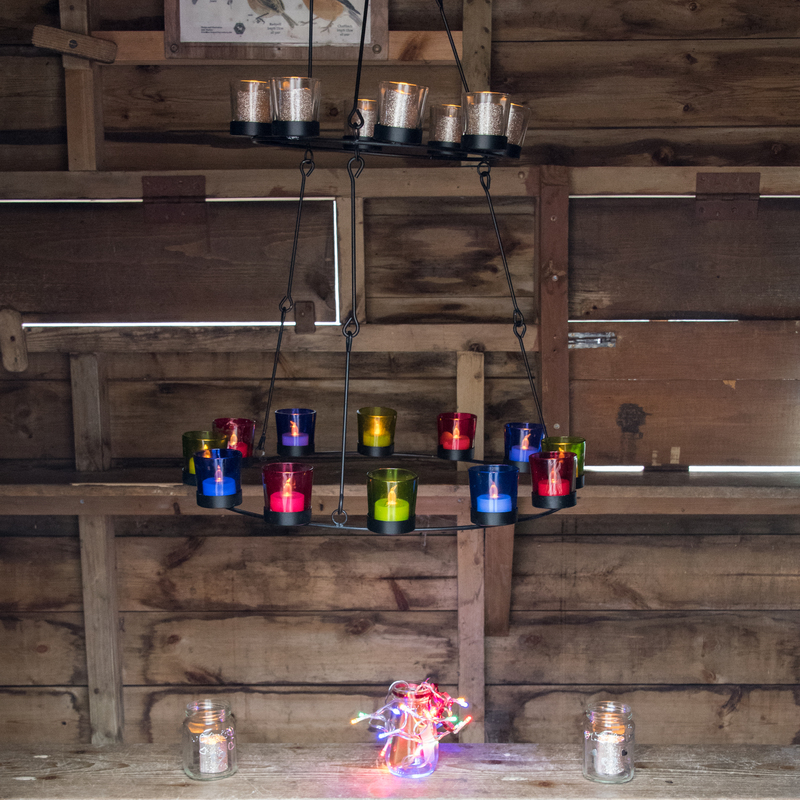 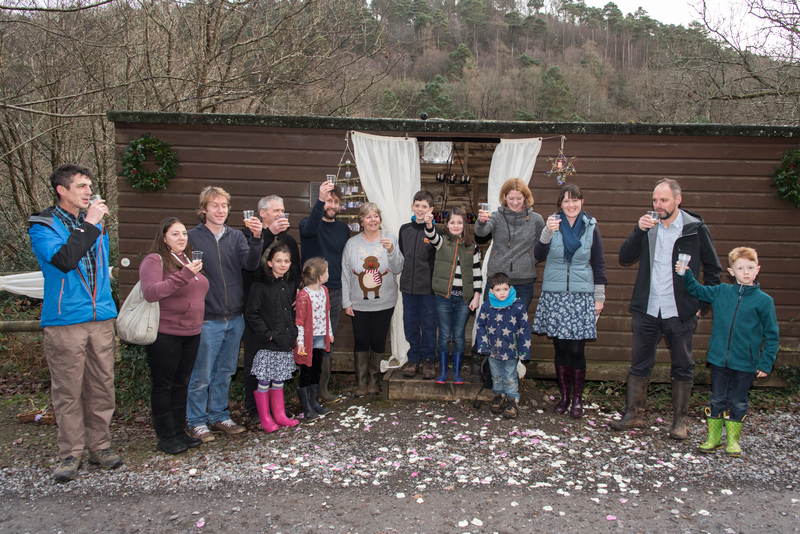 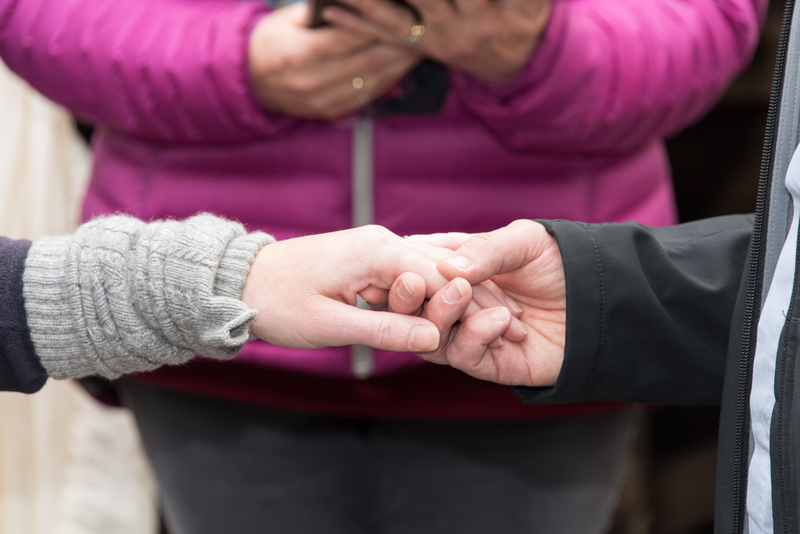 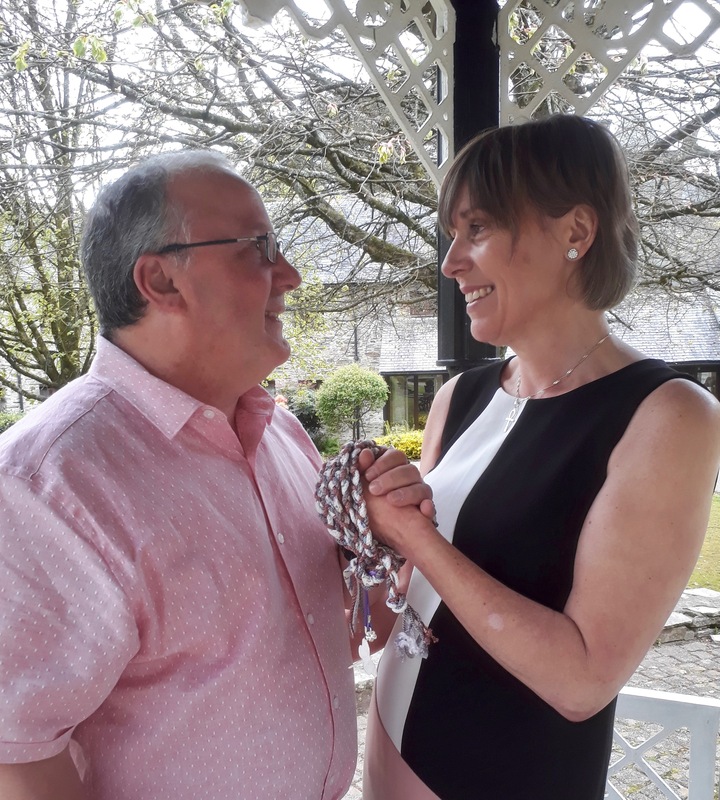 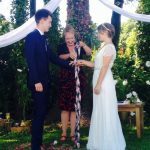 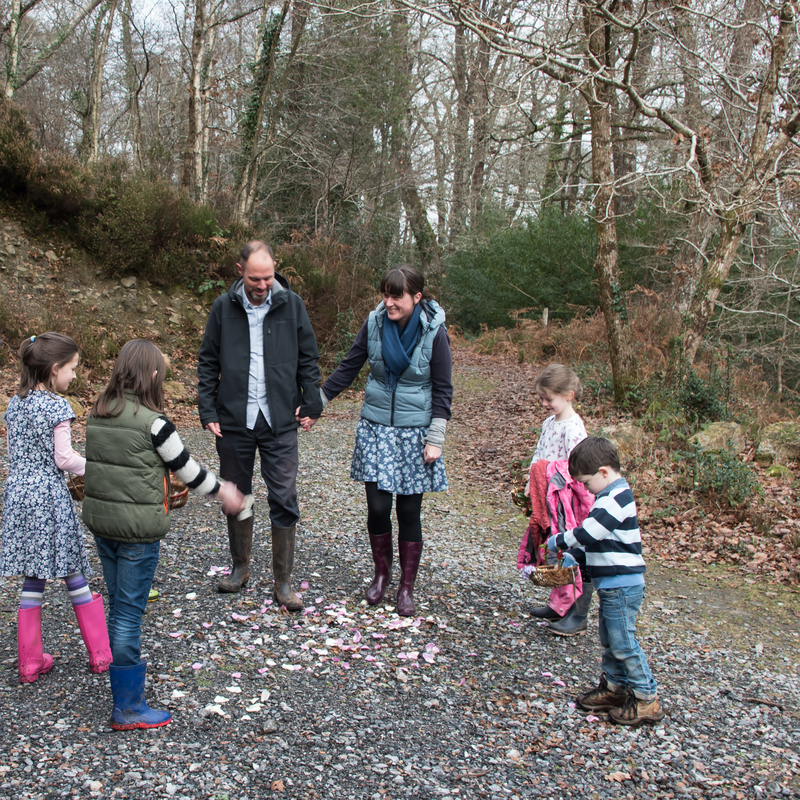 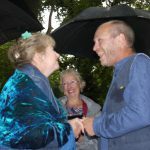 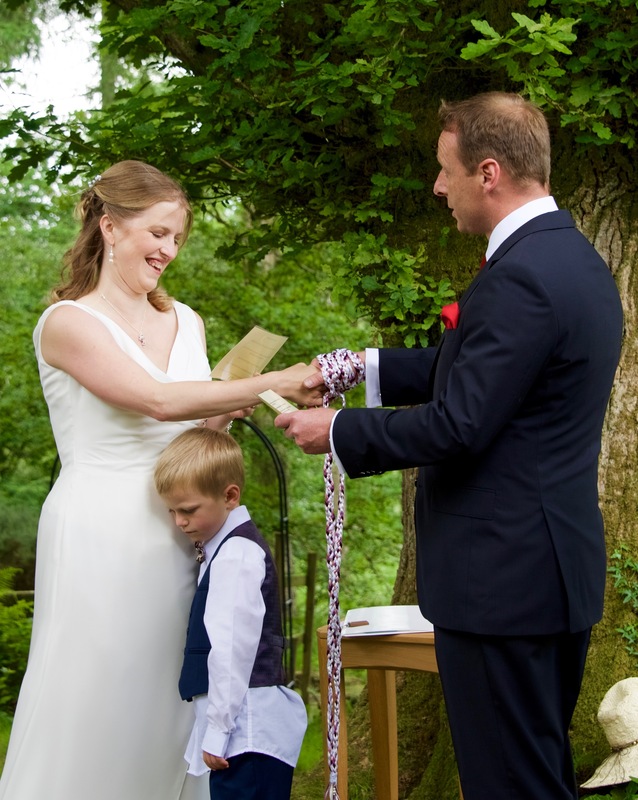 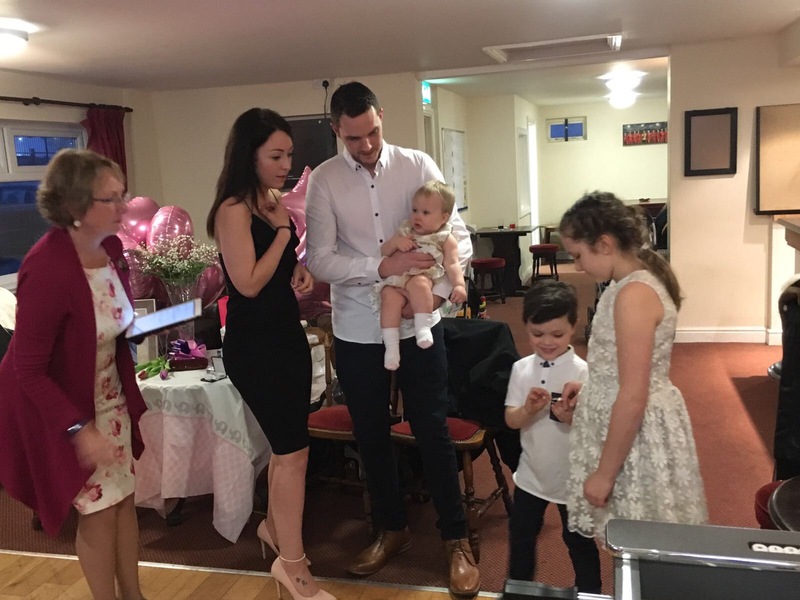 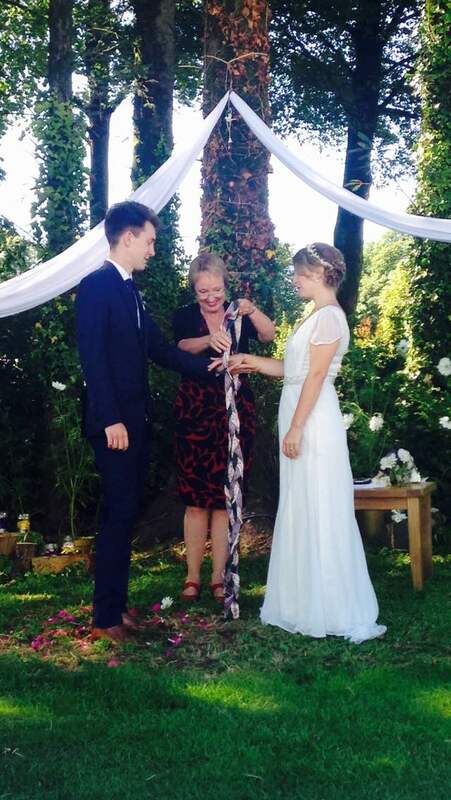 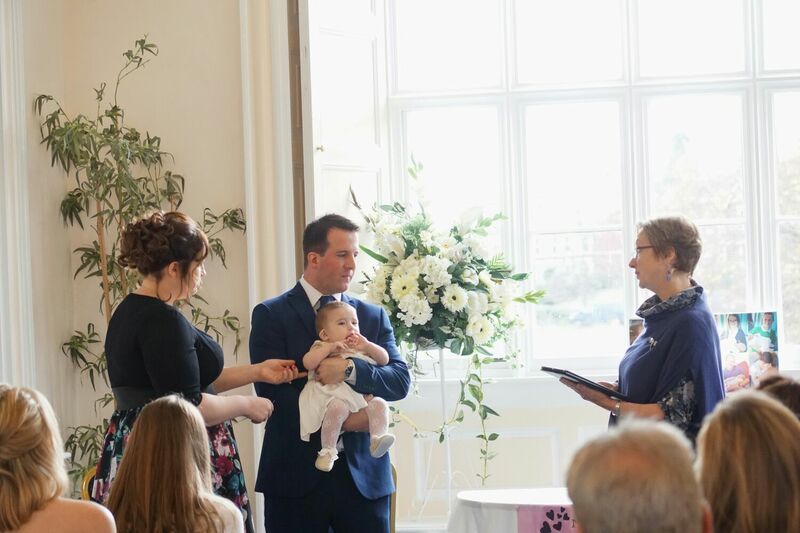 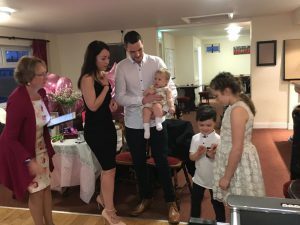 Selena had made the Hand Fasting cord from five ribbons so symbolise the five members of their new family and two of their children tied the knot – baby Sam was too little but gurgled happily! 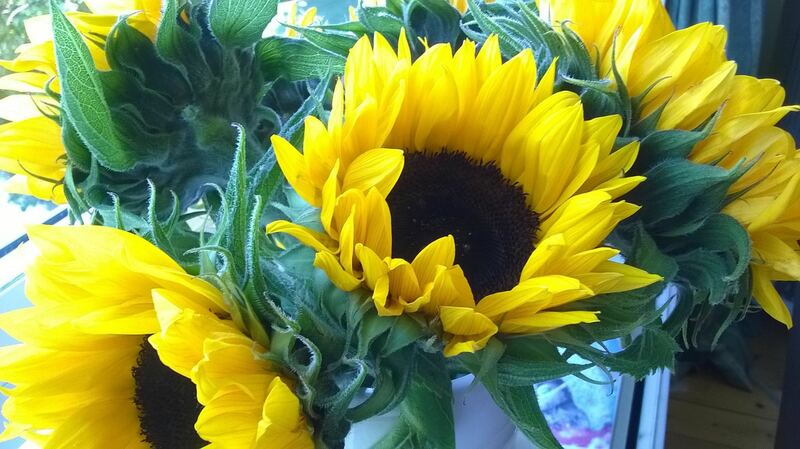 May the blessing of each of us be felt by you. 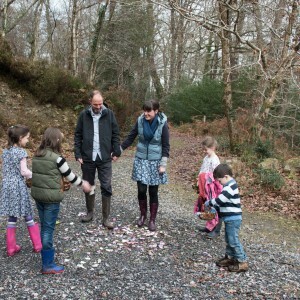 Go now to walk the ways of the world together, and may your days be good and long upon the earth. 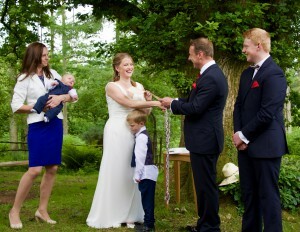 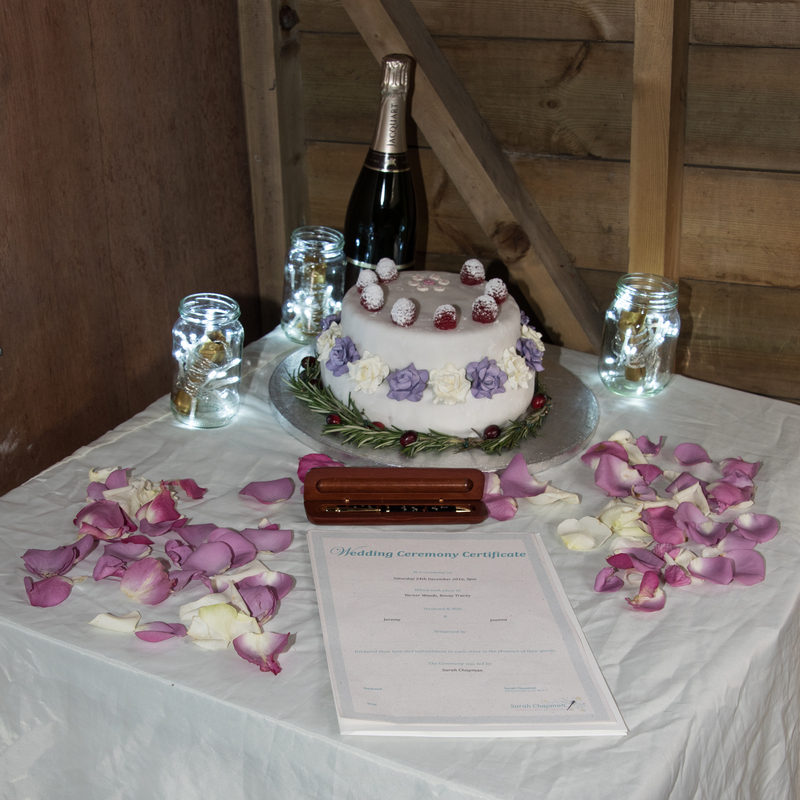 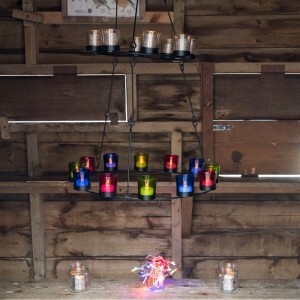 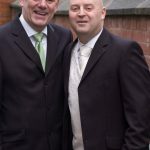 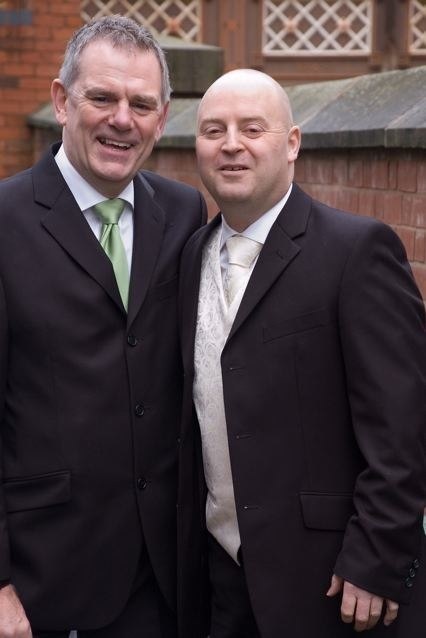 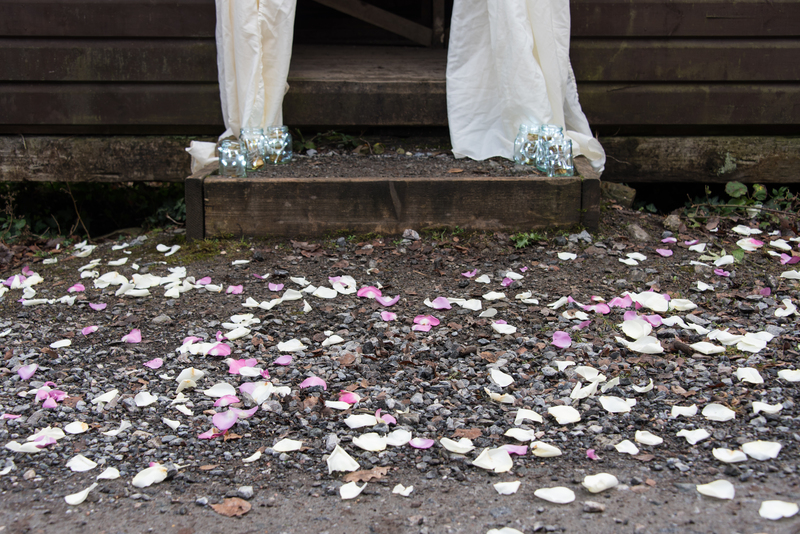 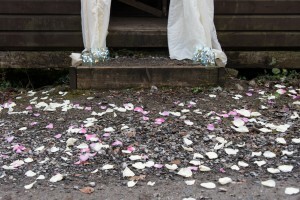 The wedding of Alex and Tamsin at Middle Coombe Farm was glorious! 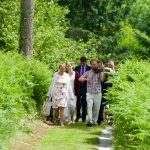 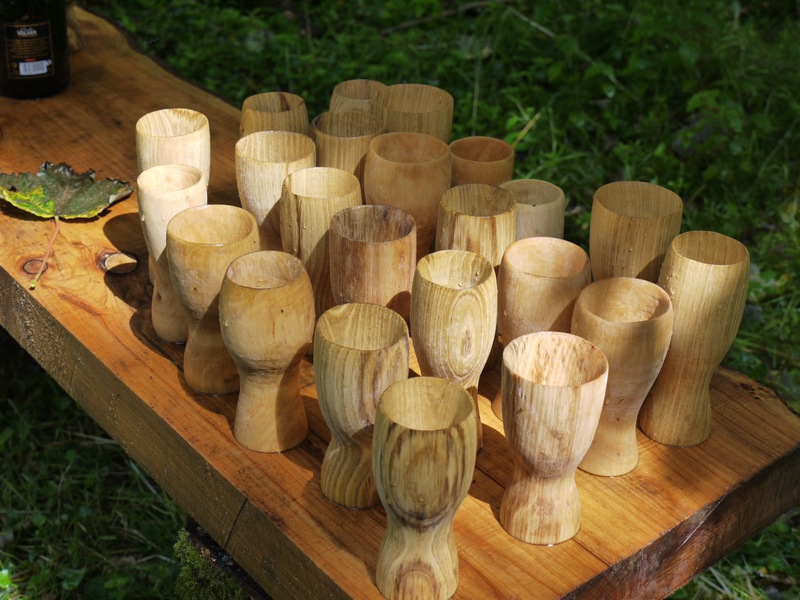 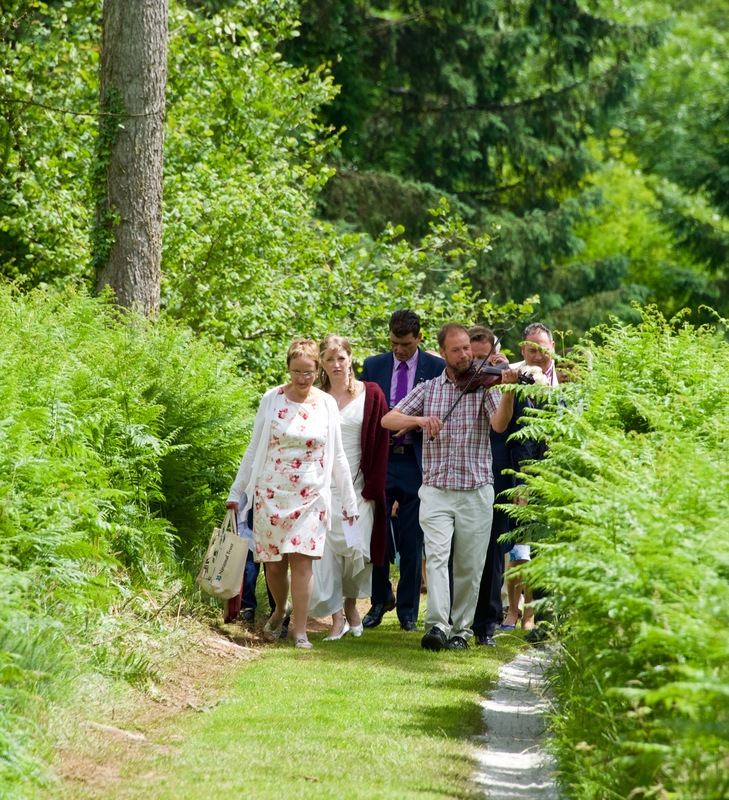 They led their guests through the woods up to the clearing after their marriage ceremony in the barn. 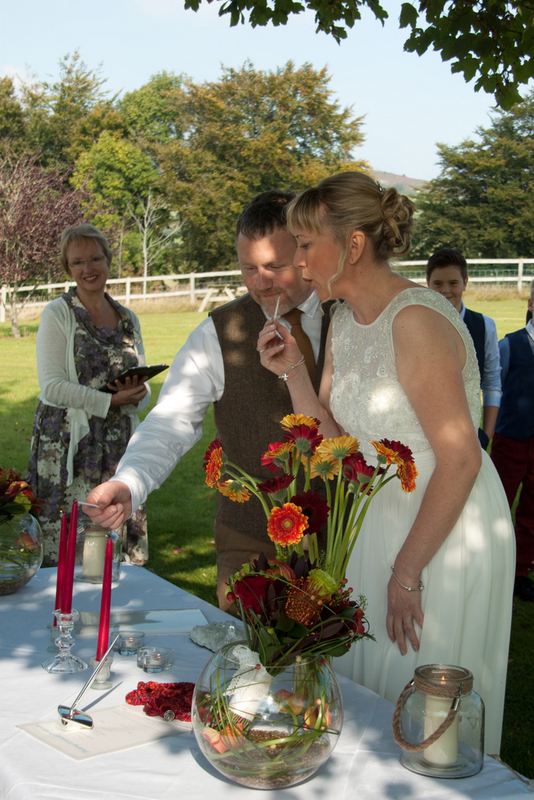 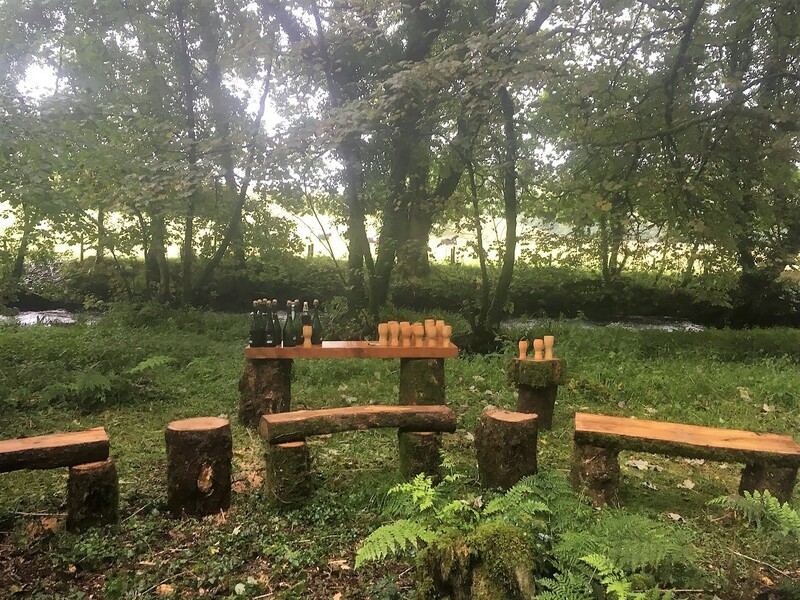 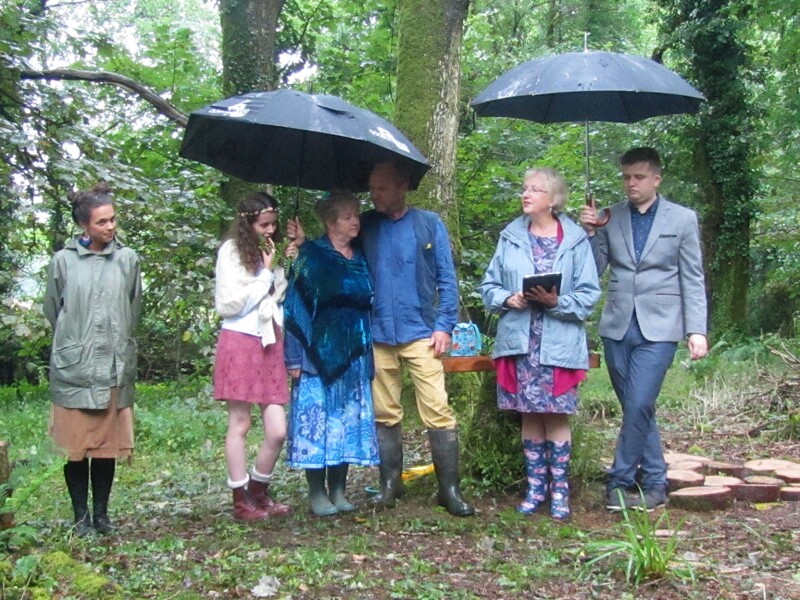 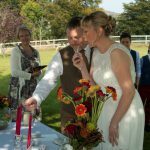 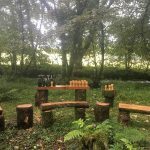 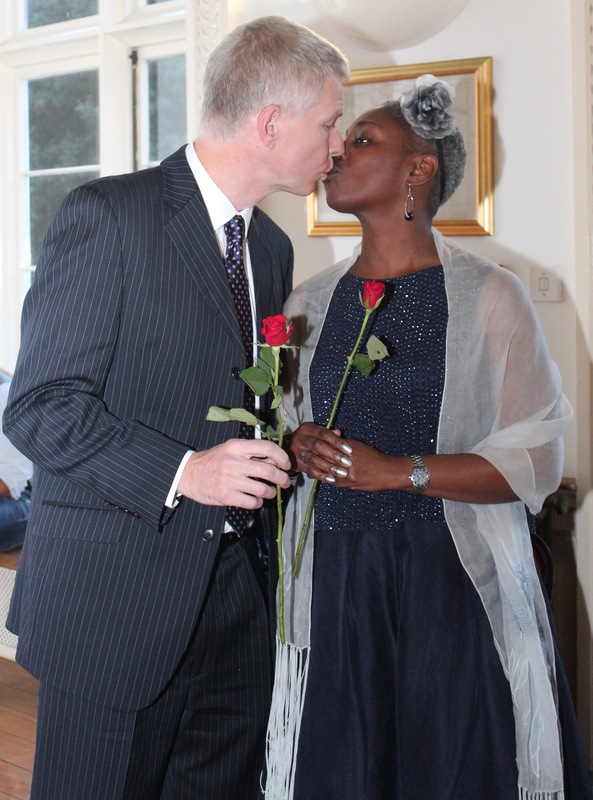 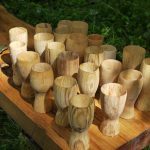 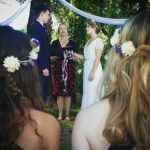 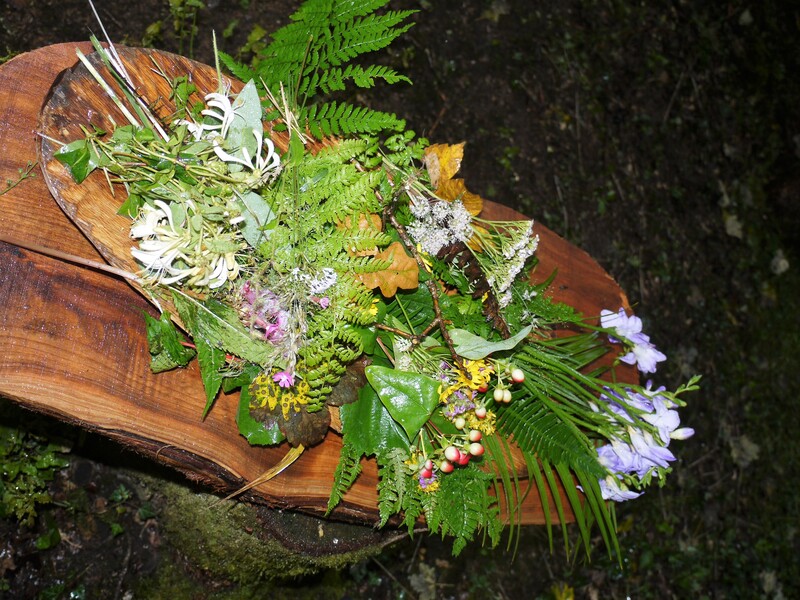 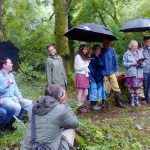 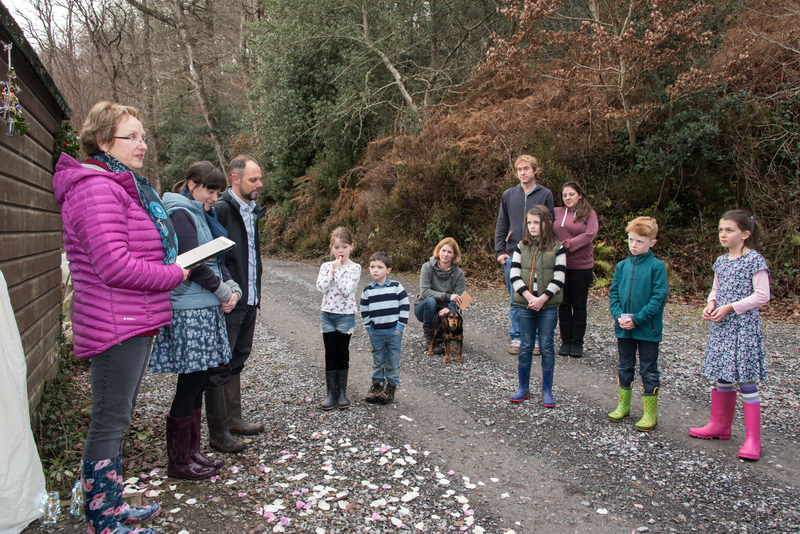 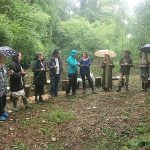 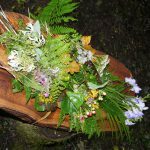 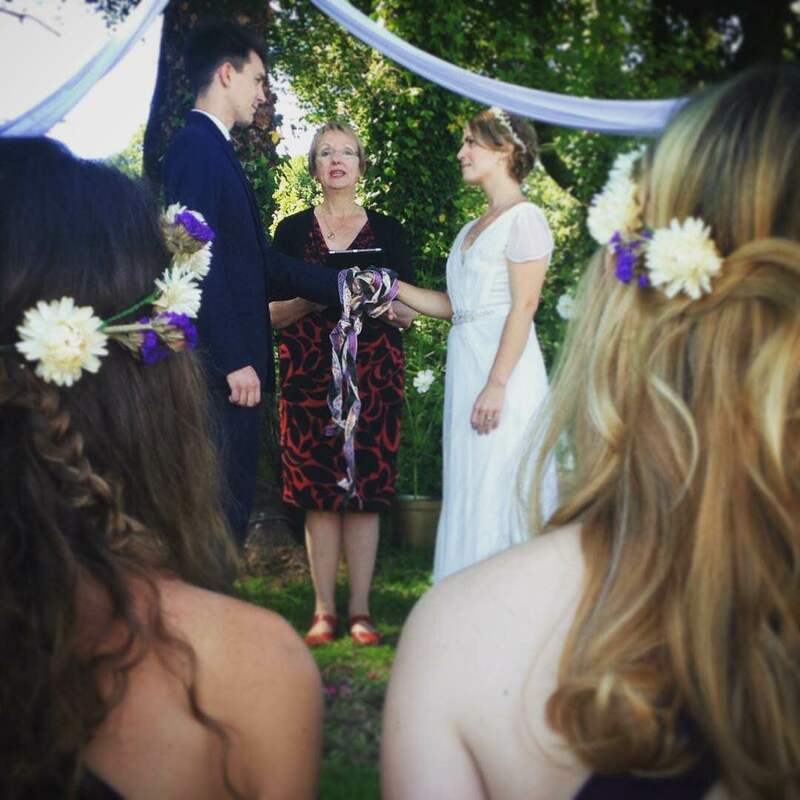 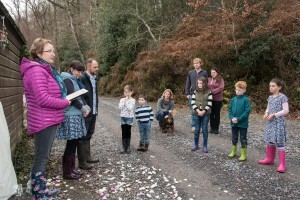 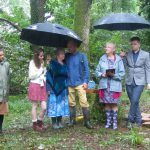 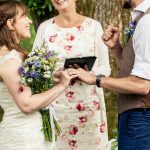 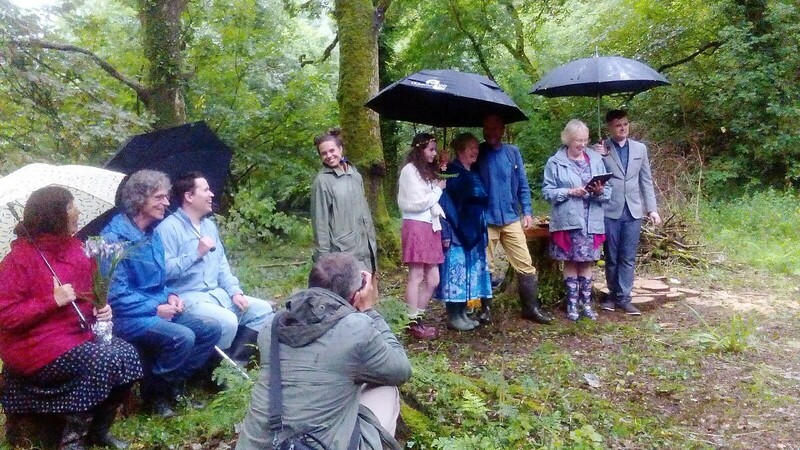 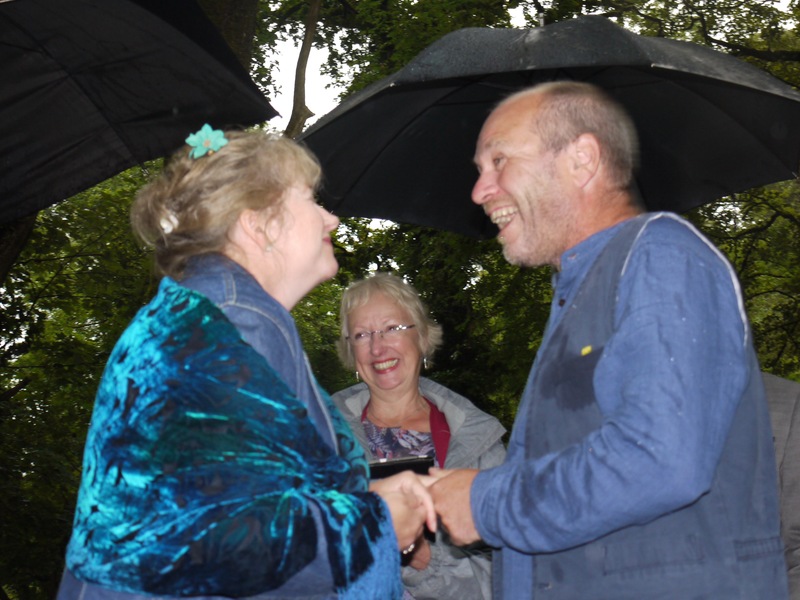 In keeping with the setting they had chosen a Wildflower Ceremony which brought their families together followed by Hand Fasting. 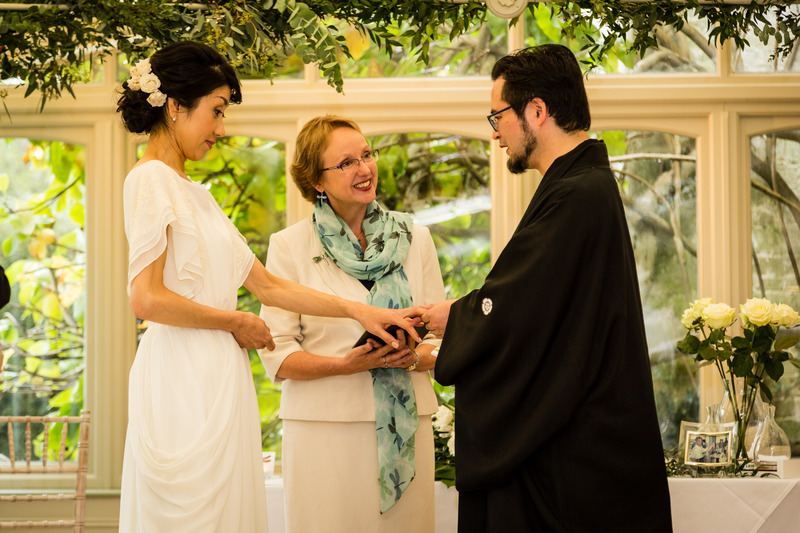 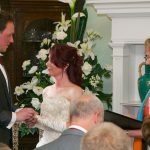 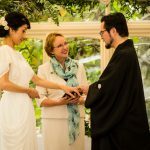 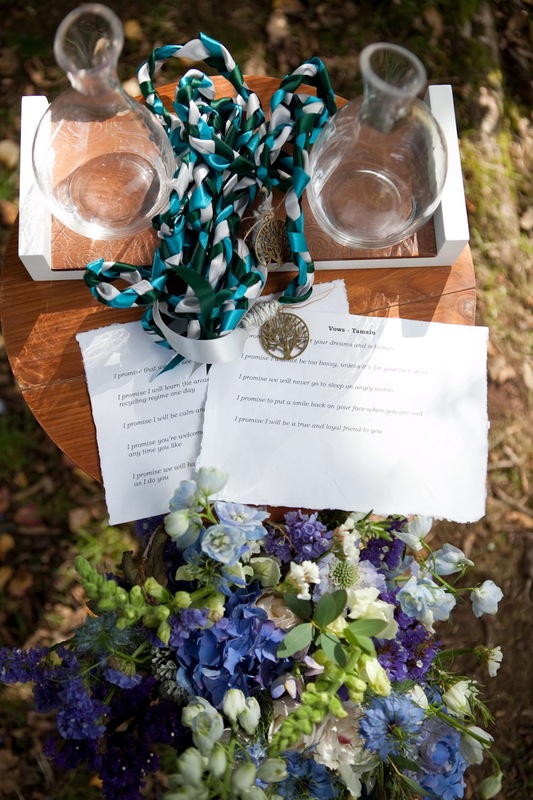 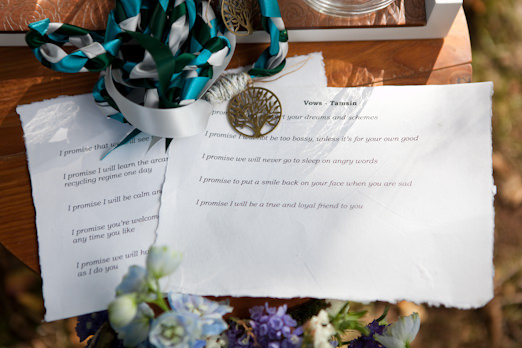 Their hand-fasting cord was made from three strands; blue for peace and tranquility, trust and harmony, Green for health and good luck and silver for wealth and intuition. 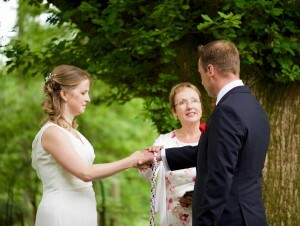 All qualities that will be brought to their relationship and will stay with them always.